Sleeping Like a Rock!. Kowalski sleeps w/ a travesseiro on topo, início of his face! (and he snores too! hee-hee!). Wallpaper and background images in the Kowalski club tagged: kowalski the penguins of madagascar penguin sleep rock snore. This Kowalski photo contains lampshade, máscara de lâmpada, and abajur. There might also be luminária de piso and lâmpada de assoalho. 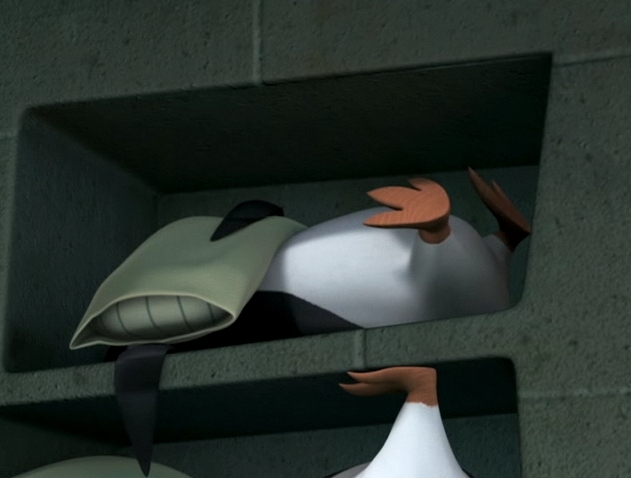 You can see Rico's foot from the bunk below.